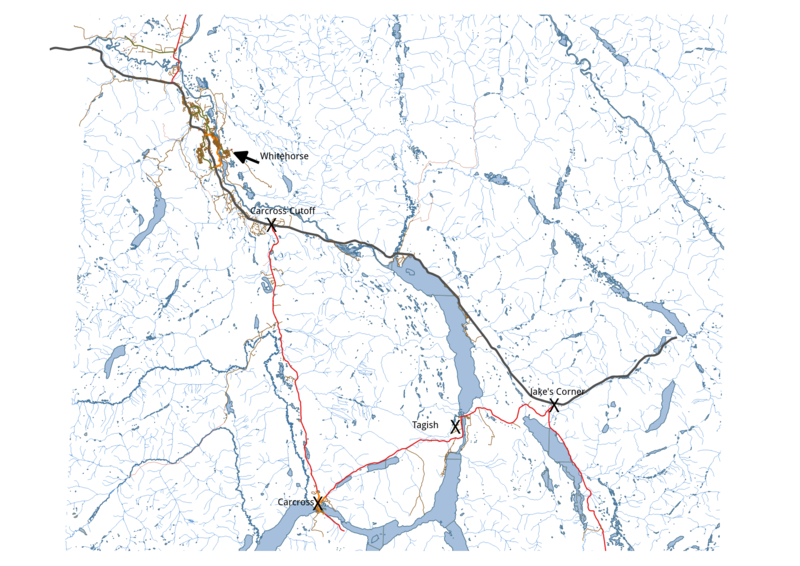 Whenever I travel from Tagish into Whitehorse, I’m faced with the same quandry; is shortest route the quickest route? Each option is ALMOST the same distance (~80 km); one way has lots of curves and better scenery, while the other is as close as we get to a freeway. As any gains I make in travel time to Whitehorse are eaten up in the first few blocks of city traffic anyway, the ‘ideal’ solution for the quickest OR shortest route could be found without taking the drive, using open source data and tools. This entry was posted in Geomatics on November 24, 2015 by Jeff. This entry was posted in Geomatics on November 10, 2015 by Jeff.